Esoteric and sprawling as it may be, the Final Fantasy series has always been unified by certain persistent themes, images, and music tracks, and one of the most recognizable of these continuities is that of the chocobo, the goofy-looking species of bird mounts that show up in most of the main games. 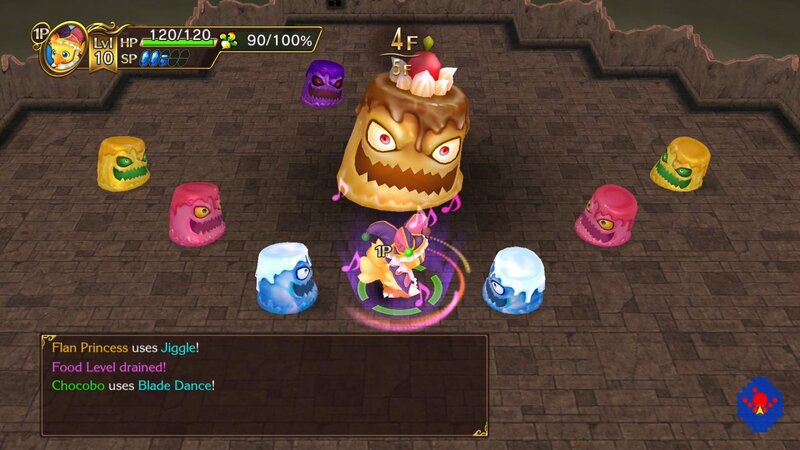 Over the past few decades, Square Enix has released several spin-off titles centred around the chocobo – spanning a surprising variety of genres – and one of the most prominent of these was Final Fantasy Fables: Chocobo’s Dungeon, which saw a Wii release in the West in 2008. 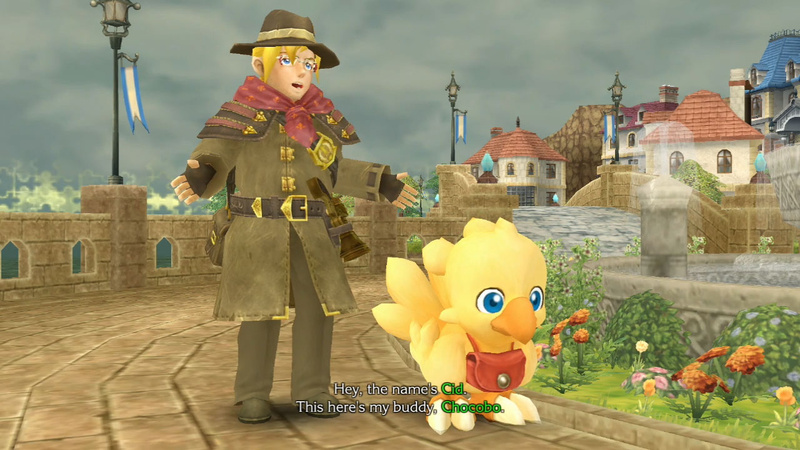 This new release, Chocobo’s Mystery Dungeon: Every Buddy!, is a remake of that Wii title with a fresh coat of paint and some extra content thrown in to sweeten the deal, but the real question on everyone’s lips is how well the core game holds up after nearly ten years. The answer is “Kind of.” Chocobo’s Mystery Dungeon: Every Buddy! 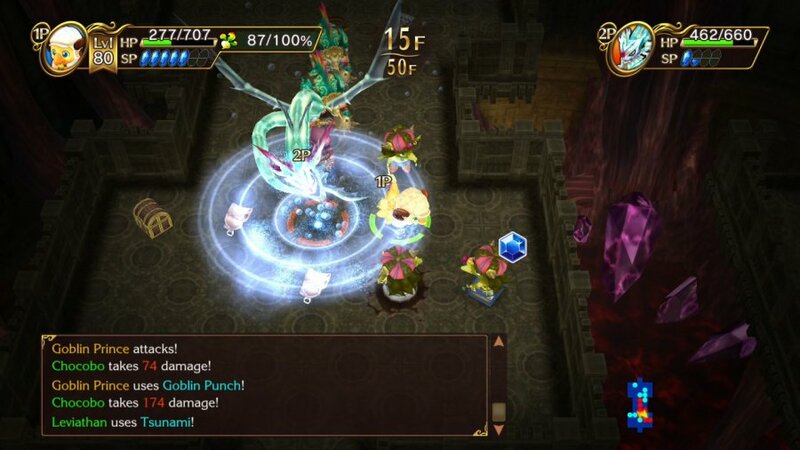 is unabashedly an enjoyable RPG romp through endlessly generated dungeons and it certainly benefits greatly from the Final Fantasy DNA that it borrows, but – like many of its fellow Mystery Dungeon brethren – it inevitably falls into the trap of repetitive gameplay that does limit some of its appeal. Chocobo’s Mystery Dungeon: Every Buddy! opens with a surprisingly ambitious sequence in which you, an utterly adorable little chocobo, and your treasure hunting partner, Cid, plumb the depths of a desert temple to find a lost treasure, only to find that a rival treasure hunter and chocobo have already beat you to it. After a magical explosion and an impressively detailed FMV sequence, the chocobo and Cid find themselves transported to the mysterious town of Lostime, which labours under the constant threat of a magical bell in the town square that regularly rings and wipes the memories of anyone within earshot. After the chocobo discovers that it has the ability to jump into the minds of people and restore their memories after exploring twisted mental dungeons, you set out on an adventure to uncover the dark secrets of Lostime and return to the ‘real’ world with Cid. Given that this is a Mystery Dungeon title, the focus on story can be surprisingly intense at times, but it’s a welcome element of the experience. Though the characters are all largely one-dimensional creations that fulfil obvious roles in the overarching plot, the exploration of memory and its surrounding philosophy often goes to unusually deep places given the cutesy appearance of everything. Even so, the story also seldom overstays its welcome; cutscenes are kept short and are easily skippable, as the Mystery Dungeon games are always about the grindy dungeon crawling gameplay first and foremost. 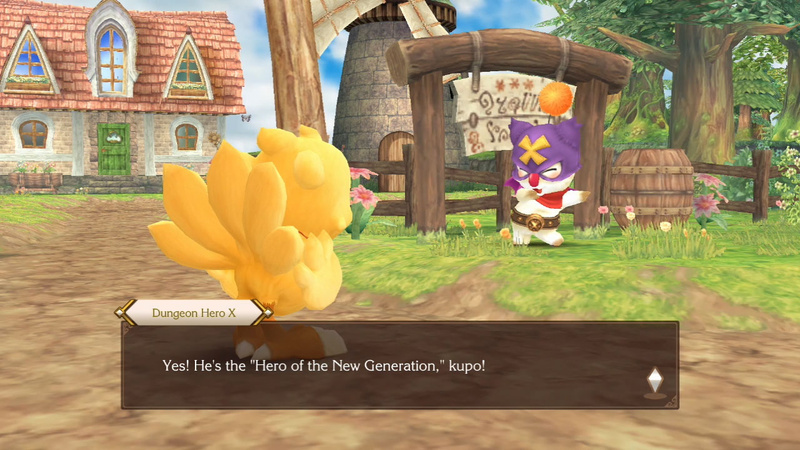 You’ll spend most of your time with Chocobo’s Mystery Dungeon: Every Buddy! trawling your way through seemingly endless randomly generated floors of dungeons, searching for the stairs to take you to the next floor while picking up any items and killing any enemies you encounter along the way. Chocobo’s Mystery Dungeon: Every Buddy! is the sort of game that shows its hand relatively early and seldom deviates from a rigid and repetitive gameplay structure that, while lacking in overall variety, sufficiently provides enough of a feedback loop to keep you coming back for more. You go down into the dungeon, level up and collect powerful gear, return to the surface for a break, then go down again to repeat the cycle, and – in true roguelite fashion – if you die in the dungeon before you make it back out, you lose all the items you’re currently holding. Interestingly, Chocobo’s Mystery Dungeon: Every Buddy! is less of a standard JRPG than it is a turn-based RPG. Dungeons are laid out in a grid-like pattern and every time your chocobo moves a single space, everything else on that floor also moves a single space. When you’re in a combat encounter, this makes for some surprisingly cerebral gameplay at some points. For example, if you take a step towards an enemy two spaces away, they’ll be able to attack you once before you can respond, so it’s best to instead attack the empty space between you two and bait the enemy into coming closer so you can get the first strike. You need to be thinking about long-term strategy, too, as your chocobo has a ‘Hunger’ level that slowly drops with every few steps you take – eventually sapping your health if it drops too low – and each floor is rife with myriad traps that can inflict a number of debuffs, like poison or burn. Properly equipping chocobo with the right items and gear prior to each run is critical to succeeding the trials you’ll face below, and the difficulty often applies enough pressure to ensure that you have to remain mindful of these things if you want to succeed. This being a Final Fantasy game, the jobs system lies at the heart of your chocobo’s progress, with each class change being represented by a cute new hat the bird can wear. There are dozens of classes on offer, from Thief to Black Mage to Knight, and each one brings with it a unique stat build and list of attacks. 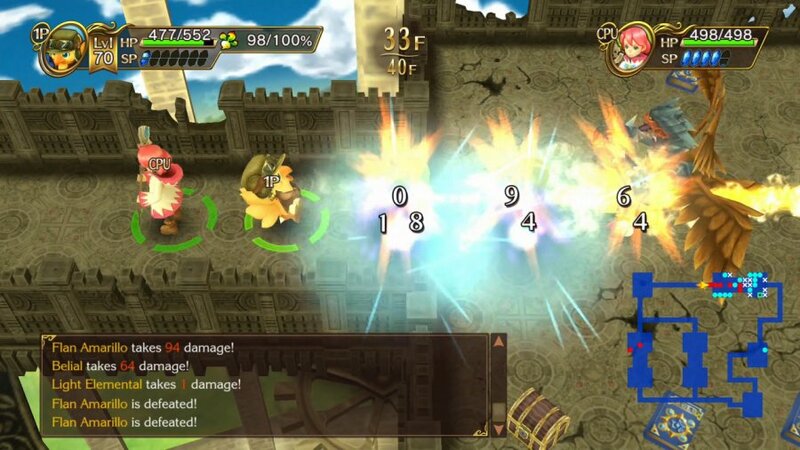 We found that the combat seemed a little skewed towards favouring classes that prioritized ranged attacks, but the overall depth of customization here is admirable for a Mystery Dungeon game; it’s by no means complex how you acquire or strengthen jobs, but the jobs system offers up sufficient depth and variety for keeping the 'grindiness' to a minimum. With a few notable exceptions, every class necessitates its own kind of playstyle, and this goes a long way towards extending your enjoyment of the campaign. What’s a little stranger, however, is the way in which you level up the jobs. Every enemy destroyed grants you a certain amount of experience right off the bat that goes directly towards your chocobo’s level, but Job Points are only distributed on a random basis as an occasional item drop from the enemy, and the amount of Job Points per drop is random, too. Perhaps this was done as a way of keeping you from getting access to each job’s most powerful abilities too quickly, but it often feels like an unnecessary and inelegant roadblock that keeps you from progressing too far too fast. Whereas your character level progression is more or less defined as being a nice, straight line that inclines at a predictable rate, your jobs’ level progression could be defined as a jittery series of massive spikes, followed by long plateaus. New to Chocobo’s Mystery Dungeon: Every Buddy! is the ‘Buddy’ system referenced in the title, in which you can bring certain NPC’s or a friendly variant of just about any monster with you to help in battling your way through the dungeons. Buddies are unlocked at a fairly steady clip, with NPCs joining you after certain story beats have been passed and with new monsters teaming up with you after collecting enough ‘Buddy Points’, which drop like Job Points. Admittedly, Buddies don’t do a ton to change up the core gameplay, but they’re a welcome inclusion in how they make certain enemy encounters a little less one-sided. You can’t really upgrade any Buddies, other than BP pickups unlocking new variants of monsters within the same family (i.e. new types of Goblins or Elementals), which makes this feature come off as being a bit tacked on, but the flip side is that it also creates an opportunity for a buddy (heh) next to you on the couch to hop in and take control of your partner if they’ve got a controller. Something that bears mentioning about overall gameplay progress is the mind-numbing repetition that inevitably sets in as the hours roll by. The lack of unique differentiators between dungeons (other than new monster types) isn’t all that noticeable at first, but dungeons eventually feel excessively homogenous, and this is only further exacerbated when you find yourself grinding floors in search of JP to shore up some jobs that you haven’t been using in a while, or retreading the same ten floors for another crack at a tough boss. 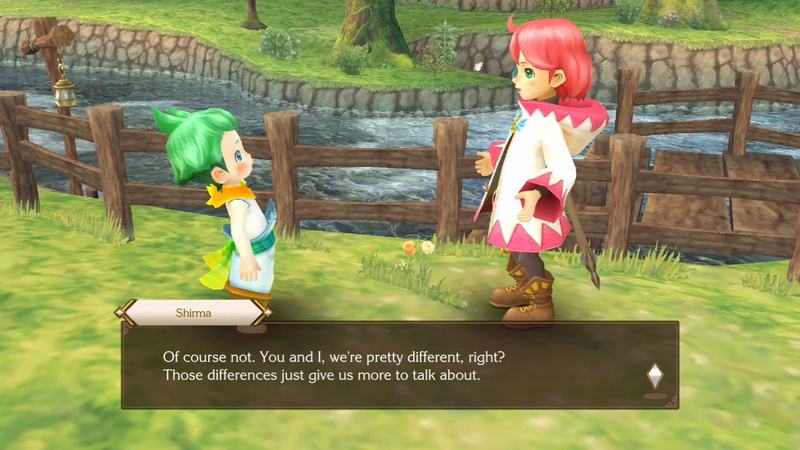 Mystery Dungeon veterans will be all too aware of this ‘problem’ – it’s also arguably the main draw of this niche series of roguelites – but we find that it’s important to reiterate that this isn’t the sort of game you play for the diversity and creativity of its gameplay; this is just about as grindy as RPG’s can get, and that can be both a blessing and a curse. Luckily, things are made a little more interesting through the equipment upgrade system, which acts as a big motivator for continuing to grind away at floors. Your chocobo can wear a saddle, talons, and necklace, and you’re sure to come across a wide variety of equipment on your many dungeon crawls. This equipment can then be brought back to a smith in Lostime where you can then ‘Hone’ the equipment to upgrade its effectiveness or ‘Fuse’ it to transfer unique properties between like pieces, such as adding a passive fire effect to a previously vanilla item. Building and designing different equipment sets for different dungeon types (i.e. fire-resistant gear for a fire-themed dungeon) helps to add some further customization options and granularity to the different builds you can run on your chocobo, and we found that it also went a long way towards making each dungeon run feel that much more meaningful; not only are you building experience for your chocobo and its jobs, but you’re also constantly acquiring gear that can give you those extra few stat points you need on a given item. This being a remake of a Wii title, the presentation often shows its age through the semi-blocky geometry and occasionally muddy textures that permeate the environments, but Chocobo’s Mystery Dungeon: Every Buddy! also manages to equally surprise in many places with how well it looks in motion. It’s clear that Square put in the effort to replace at least some of the textures with much higher resolution equivalents, and we found that performance hit 60FPS on a near-constant basis. This is most definitely not a system showcase in terms of its visuals, but we found that the charming, colourful worlds are well-realized and detailed; this is hardly a boring game to look at. Similarly, the soundtrack is filled with a collection of playful and occasionally serious tracks that blend well with the many well-made remixes of popular Final Fantasy music. Fans of the series will undoubtedly get the most out of this soundtrack, but we were a bit surprised at the number of original tracks in here that prove to be catchy; expect to hear a few that’ll stick in your head for a little while after playing. Chocobo’s Mystery Dungeon: Every Buddy! 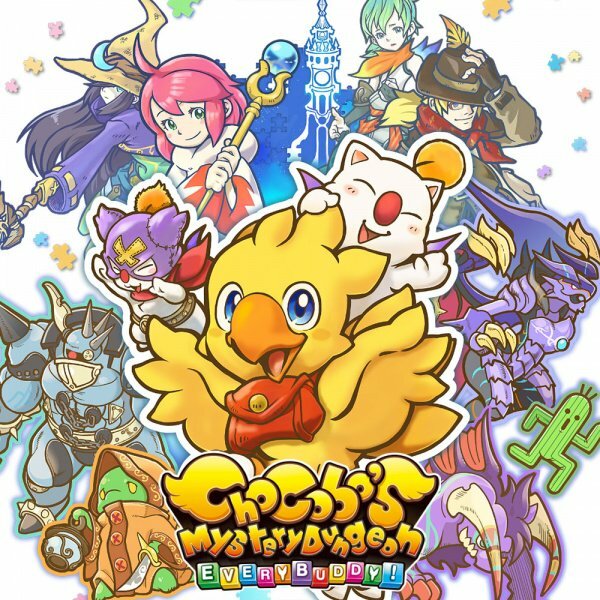 easily proves to be the best version of Chocobo’s Mystery Dungeon, and we would even go so far as to say it’s in the running of being the best Mystery Dungeon game in general. The story proves to be surprisingly heartfelt and mature in many places, and the depth offered by the jobs system, coupled with auxiliary systems like Buddies and equipment, helps to keep the endlessly repetitive dungeon crawling from becoming too taxing. If you’re the type of player who doesn’t mind very much grind in their games, or you’re looking for something rewarding, but relatively mindless that you can dump a lot of hours into, Chocobo’s Mystery Dungeon: Every Buddy! is a solid purchase that’s sure to entertain. If you’re not in either of those camps, we’d caution you to think about it a little more before taking the plunge, as this could easily prove to be a disappointing experience if you come into it with the wrong mindset. Aw I was hoping it was a remake of the PS1 game which never got a North American release. Oh well hopefully this sell well enough to get interest for that one. If it's as good as the Pokémon DS Mystery Dungeons then a 7 is a bit low. Also, the review says you should attack a monsterless space as a tatic to let them come closer to you. But doesn't holding a+b do exactly that? Wibble wibble, third comment dribble. Works for me! I can stop looking for the wii game now. Plus its mystery dungeon. I’ve been hankering for one of those for a bit. Waiting on you Shiren. I’ll take the vita game, lol I am not picky. 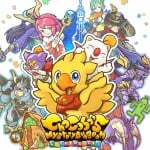 "Interestingly, Chocobo’s Mystery Dungeon: Every Buddy! is less of a standard JRPG than it is a turn-based RPG." It's a roguelike from a series of roguelikes, and it plays exactly as you'd expect for such a thing. If you like the genre, then this is a good, solid example of it that's well worth picking up. I might finally grab a Pokémon Mystery Dungeon game if they were to do one for the Switch. Frankly, I'm baffled by the lack of lower-budget spin-off titles from Nintendo this generation. They would certainly help bridge the gap between AAA releases. I remember seeing commercials for this on Wii. I don't remember much of it though. Cool. I'll look into this under a sale. Meanwhile, I'm content enough with Touhou Genso Wanderer Reloaded on my Switch. I have the Wii original and despite dungeon crawlers and FF games not being my cup of tea, I found it charming and enjoyable. So I assume this will also be charming and enjoyable. Its a bit grindy though, but FF games generally are. Job points aren't hard to come by. The deeper you get into the dungeon, the more likely enemies will drop those little glowing cubes and the higher the exp will be. Does anyone know if the physical release in Japan has English capabilities? I'd be interested in this game if I could get a physical version and play it. Thank you. Thanks for mentioning the frame rate! I've been on the fence about this game, so more info and opinions always helps. I think there's enough to this game that I'm going to have to play it sometime. Maybe I'll wait for a sale...? A lot of FF games this month. Probably won't get this, but I'm thinking about X/X-2 and especially XII, which looks really cool.